Schweizer Paint (Águias PM SP) Texture for Just Flight Flying Club X by Luan Lopes. 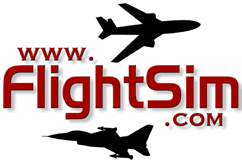 Easily installable only need to paste the command lines in the Aircraft CFG of your favorite aircraft or helicopter. Put the files in the effects folder and Like smoke effect, pressing the letter I to release the skydivers. have fun! Add and remove your scenery quickly plus analyze issues in your library. Chile Concepcion, Carenado B90 in from of SSEI fire dep.